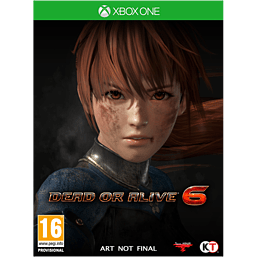 The long-awaited new instalment of Team NINJA’s top tier fighting game from the DEAD OR ALIVE franchise. Prepare yourself for incredible destinations, and intense combat in the evolution of true fighting entertainment. Great for the pros who have played the complete series or starting at this point in the store. A new individual has risen and caused tremors across the DOASEC universe. A new storyline, brand new stages and action more intense than ever before. Local 2 player multiplayer means you’ll be able to crush your opponent on the couch, settle who is going to be doing the washing up, or generally be able to show your dominance. Opponents cant make it to yours? Not a problem. The online mode will allow you to pitch your skills against friends and stranger alike. If you own an Xbox one X and a qualifying TV, you will benefit from this games 4K Ultra HD, and HDR10 output.